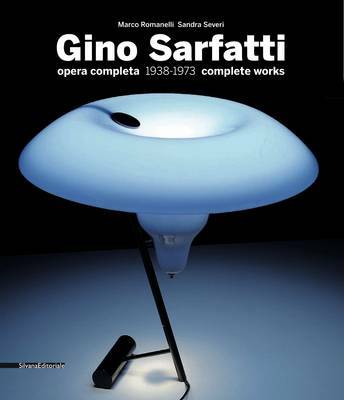 This catalogue raisonne is dedicated to Gino Sarfatti (1912-1984), considered to be the first great Italian lighting designer. He abandoned his studies in aeronautical engineering and went on to found the internationally renowned interior design firm Arteluce. In his thirty-year career, Gino Sarfatti designed and produced over 600 lighting fixtures - from the globular and mobile to the mushroomed, coiled and woven - continuously exploring innovative new ways of manufacturing and shaping the bulbs, cords and stands that light our interior worlds, even making pioneering use of halogen bulbs in fixtures as early as 1971. He was awarded many prizes, including the 'Compasso d'Oro' in 1954. This publication amply illuminates his many achievements with more than 1000 images and products. Technical sheets give detailed information on every model; a biography completes the book. Text in English and Italian.